Nowadays, it is quite common to see many different electric airplanes at the local flying field, and with their increase in popularity, I would like to discuss safety. 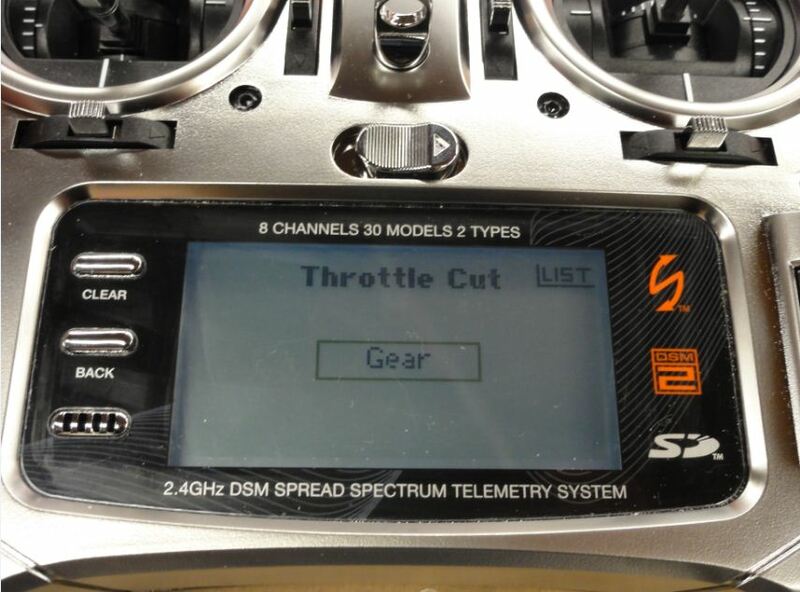 On my electric powered models, I use a feature called “Throttle Cut”. With the flip of a switch, the motor can become deactivated. At this point, no matter where the throttle stick is at, the motor will not turn on and spool up. I particularly take advantage of this feature whenever I handle an airplane or work on the aircraft in the workshop. For example, if you are in your shop and are programming various control surface rates and exponential settings, you do not want to accidentally hit the throttle stick causing damage to the airplane, and more importantly, yourself! Assign the throttle cut function to a switch, like the Gear Switch, so that motor will not become active while the switch is in the “on” position. I urge you with any task you wish to undergo, please think in terms of safety.